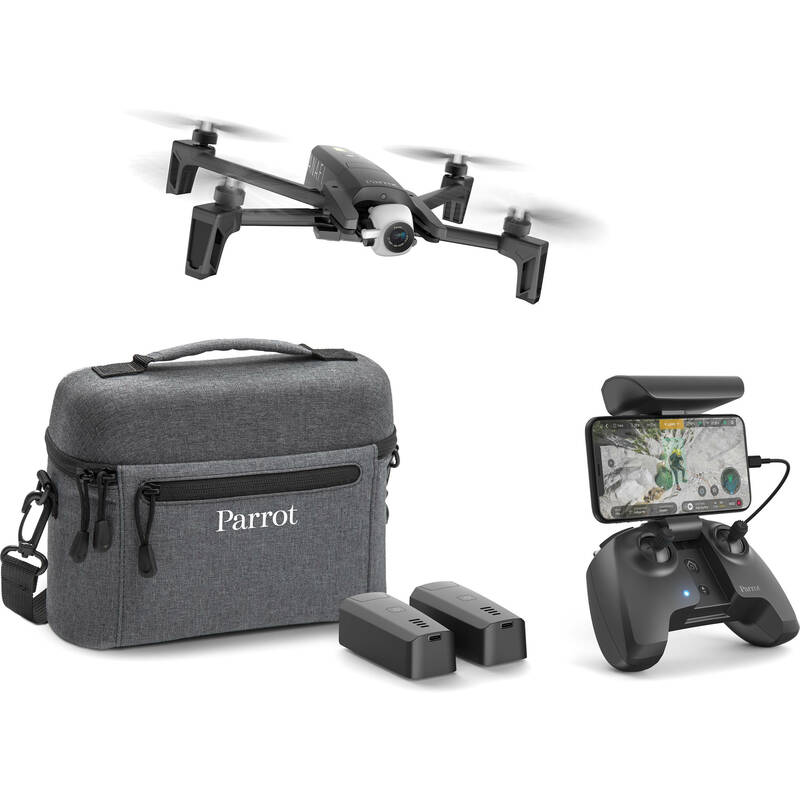 Take flight with extra accessories with the Anafi 4K Portable Drone Extended Combo Pack from Parrot. This combo pack provides you with everything you normally get with the Anafi, as well as added essential accessories such as a custom travel bag, two extra batteries, two extra cables, and a free 2-month membership to Adobe Creative Cloud. Choose from Lightroom and Photoshop or Premiere Pro, and take your raw aerial footage to the next level. 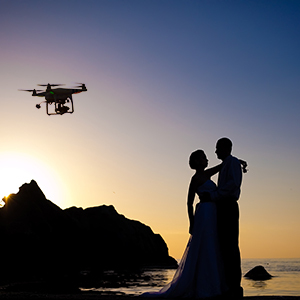 With the Anafi 4K drone, you can always take stunning aerial videos and pictures. The ultra-compact and portable Anafi weighs a little over 11 oz and can fit into a backpack. 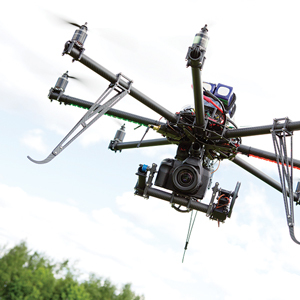 It's designed to unfold and start flying in less than three seconds. Once in the air, Anafi can take stunning 4K videos with 100 Mb/s bit rate, and 21MP HDR-enhanced still photos. Anafi features 3-axis image stabilization to help keep all your footage and pictures stable and clear. With the addition of a 180° gimbal, tracking A.I., and a host of photo modes, the Anafi can give you professional-quality results anytime, anywhere. Optics engineered to reduce lens flare and chromatic aberrations in all situations. Box Dimensions (LxWxH) 12.3 x 8.8 x 4.9"
Anafi 4K Portable Drone Extended Combo Pack is rated 4.5 out of 5 by 11. Rated 5 out of 5 by Philip from My New Favorite Drone I started out in the drone hobby with a Phantom 3 Advanced. I sold it shortly after. I just wasn't crazy about the size and how much attention I brought to myself when flying it. I always had my eye on the Parrot Bebop because it just looked like fun compared to the DJI products, but went with the P3A because of all the people raving about DJI. When i got back into drones, I opted to buy a DJI Spark. While the Spark is a nice tiny quad, the camera is not that great and the thing is darn loud for it's tiny size. It also felt like i spent more time updating the thing instead of flying. It got to the point where i could even fly a few feet above the ground around my house due to an airport being within 5 miles. I knew something had to change, so i began my hunt for something different. I began to look at the Anafi. I was torn between the Anafi and the Autel Evo. I was even temped to the new Mavic 2 series, but with all the hoops DJI makes you jump through to use their gear, I opted out. The Anafi was the cheapest option, do I went with the extended flight combo with the money i saved. I took the Anafi out for it's maiden flight today and had a blast. It really made me enjoy drones again. The hand launching feature works better than the Spark's hand takeoff feature and the camera on the Anafi blows the Spark out of the water. The app feels better than DJI Go to me (it's way less bogged down) and....I don't know....everything just WORKED. I had no distance limitations problems (You're not even supposed to lose line of sight, anyway). The controller is solid and as i said before, the footage is great. There are mixed reviews on this drone and I really don't know why. Some of those people must just be die hard DJI fans but the Anafi feels like the start of something different for Parrot. This feels like the beginning of some stiff competition (which is great for the market). This will be my new drone for a while to come. Rated 4 out of 5 by Andrew from Cest fantastique! This very portable French-designed drone is fantastique. Parrot got my money instead of DJI because the extended combo pack offers a whopping 75 minutes of flying time with the three included batteries. The Anafi also ticks a lot of boxes in terms of ease-of-use, DCI 4K, log profile, etc. To me, the Anafi footage appears more cinematic than the Mavic Airs (which I find to be more video-like, ie. contrasty, aliasing/moire, blown-out highlights, etc). The carrying case is very handy, making it easy to sling over your shoulder to take along to the park, on hikes, etc. Lack of obstacle avoidance was not a purchasing factor for me, because that can be achieved with a controller plus your hands/eyes/brain. I have to agree with other reviewers about the flimsy microSD card holder. Basically, its like having to install/remove a microSD card to/from your phone. Kind of a pain to do every time you want to transfer footage. Why not make it easy to click in and out? I understand footage can be transferred directly via USB cable, but its inconvenient having to connect to the drone on your desk, plus apparently it has to be powered up to do that. Also, the Anafi lacks a bit in documentation, at least in terms of what comes with the product. Its not entirely straightforward how to format media, but with hunting through the app menus and some experimentation, it wasnt too difficult to figure out. The battery charging indicators can be a bit confusing as well, flashing different colors and patterns of blue, green and red. I finally located a manual online and consulted the blinking lights key to figure out what they meant. Lastly, the extended combo pack comes with three USB-A to C cables, but no charger plug(s). A few of the plugs I had on hand didnt charge the batteries or remote, but I eventually found some that did work. These are fairly minor gripes, though. All in all this drone is great, and a real joy to fly. As the French would say, je ne regrette rien. I have no regrets about buying this drone, and highly recommend it. Rated 5 out of 5 by Jeffrey from You dont need a drone comparison to offer a quality product From a photographers standpoint, the Parrot Anafi gives you a stable platform, from which you can obtain a quality photograph or video presentation. The lack of optical avoidance should be considered, but should not hinder your purchase, since the pro wants that scene that will take the viewers breath away, in a big wide open area. Rated 5 out of 5 by Steve from Exceeded my expectations This is my first video drone. It was purchased for shooting commercial travel videos overseas and various domestic projects. When I first received it, the small size surprised me. I powered up and went for a manual test flight with virtually no prep. It was extremely easy to fly. Hand launched, took it up to 350 feet at sunset, panned 360 and auto landed. Footage was stable, smooth as butter and very detailed at 4k (drone was flying in film mode, not sport). Also tested manually flying around my property between 3 and 10 feet and it was responsive and easy to fly. Using an iPhone X on the controller. Software works great and has a load of features. Snapping the phone into the controller is a little awkward, but not a big deal. Geo fencing worked. HUD software allows control of ascent rate, pan rate, camera tilt rate, etc. with sliders. Camera has AE lock, f stop, zoom, HD, 4K at the normal frame rates (24, 30, 60..). The gimbal makes it look like its sitting on a tripod - really stable. The amount of configurability at this price point is surprising. Did a mapped/waypoint auto fly test at 75 that lasted 5+ minutes. Setting up the route consisted of poking spots on what looks like a Google maps image, pointing the camera direction and setting altitude for each point (next point defaults to previous points altitude, so only set once if flying all at the same height). I lost communication for a minute or 2 between the drone and the controller the first time (it flew to the other side of a building) and the drone kept flying the route, captured the video and landed as programmed. Batteries last 20+ minutes - got 3 so 1+ hour of flight time before recharging needed. Havent timed the recharge, but it seems to take a while. Other reviews have expressed problems with the SD card formatting. I have formatted the card in the drone several times with no problem. Have a 64G card coming (16 fills up quick at 4K). All in all, I am blown away (as are my colleagues) by the bang for the buck with this drone. If it had obstacle avoidance sensors, it would be the perfect product, but at this price point, we were gladly willing to forgo that particular function. Just have to fly smart. Rated 5 out of 5 by Douglas from Great Beginner or Add-On Drone for Backpacking Finally got a break in the weather today and pulled out my new Anafi drone for a 1st flight checkout. - Charged everything up last night, READ the Anafi manual and the FreeFlight 6 manual (on the Parrot website), created an account for the FreeFlight 6 app and Parrot, uploaded the new firmware for the drone and controller, put in a 64GB Sandisk Ultra Plus memory card, formatted, and set up everything on my back deck this morning. As an owner of DJI Phantoms and Mavics, I set my expectations low for the Anafi, purely based on the specs and price. - After doing a pre-flight check (batteries, gimbal and camera calibrations, controller calibration and compass calibration) for the Anafi I took off and flew at a safe altitude for my location (200ft AGL). First impressions--No issues whatsoever with the FreeFlight app on my MotoG5 Plus Android phone with very good connection throughout the flight. With default Film flight settings, the drone controls responded a little quicker than tripod mode on the DJI drones, but was still really stable for video and stills. - Camera settings were all default, except for stills I selected jpeg+raw, ISO 100, EV at 0 and video was set at 4K 30fps, with the other default settings and NO ND/polarizing filters (although I did order a set, but B&H is out with no ETA) -A few minutes into the first flight the video stopped and I got an error reading SD Too Slow and SD Card performance Failed. This was with a new SanDisk Ultra PLUS 64GB SDXC1 U1card. -I switched the video to 1080p 30fps and restarted the video--no issues for the rest of the flight. Ill have to check out my other cards and see what works in 4K with this drone. -Flight characteristics of the Anafi are really stable. Although there is no obstacle avoidance sensors, it was fun to fly and easy to manuver around my tree over my back deck. -Downloaded the files directly from the USB-C port on the Anafi battery port. Plug it into your USB port on your laptop/desktop, start up the drone and it will be instantly recognized by your computer. -With default settings and no filter, I was pleased with the overall photo/video quality. Sharpness, focus and color were all good. I processed the raw stills in Lightroom and created a preset for consistency in all of the photos I shot today. (attached are a couple). The video at 1080p out of the camera was very good with no color grading or adjustments (although I will correct the horizon in the app the next time I fly). Overall, I couldnt be happier with the Anafi drone. I recently purchased a Lowepro Flipside 300 from B&H and this drone fits perfectly with the controller and my FujiFilm X100F camera and am now ready to hit the road. Oh, did I mention that this drone is really quiet compared to my DJI units! Rated 4 out of 5 by Johan from Better than expected Would not call myself a professional. However I have an Autel Robotics drone which is great. Decided I needed something more portable and this foots the bill. Product was easy to set up an operates pretty much out of the box. Only big lag is getting all the firmware updated which will take at least 45 minutes. So get this done before you start out. Otherwise it has been great and would definitely recommend it. Rated 5 out of 5 by Kris from Great features & Stable software So, I was considering a couple of DJIs drones and this one from Parrot. I, ultimately, went with this one because of the way the gimbal moves (full 180degrees articulation). I think you can get some cool and unique shots with that. Also, I saw some reviews where the DJI drones would have props in the video, but this one has smaller props so that is not a problem. I liked the value I got with the extended combo pack, the extra batts and bag comes in handy. I have flown the drone through 6 batteries (so flown it 3 times, with 2 batteries each time). The flight time is great, every bit of what they advertise. The gimbal articualtion is great. The software is super easy and intuitive. I like the fact that the phone is on top, much easier to view than on the DJI interface. It flies very well, and handles mediocre winds well, also. The picture quality on 4k is good, not great. I do shoot some b-roll with it for some FB and Instagram commercials. I hope that conveys that the picture quality is just fine for those kind of purposes. If you were shooting real estate, you would be just fine with the quality as well. In other words, it says 4k, but it looks more like in between 1080 and 4k, maybe 2k level. I havent tried any filters with it yet, but i am planning on getting some to see if that helps with changing light conditions. I use in with an LGV30 phone on Android 7.1.2 and it is stable, no issues with connectivity or anything else. You just fire it up, and it works. To me that is the most important thing. I dont want to be chasing software gremlins and be sending stuff back for repair all the time. Thanks. can this drone be used with rechargable batteries? Anafi must be used with its own unique battery. That battery is recharged by USB cable connection to any USB-compatible charging source, which is a major advantage for travel. The more powerful rechargeable USB battery packs work fine for this. The manufacturer recommends against using a slow charger, such as one that comes with a cell phone.